If you want to plant trees in your parking lot, you will definitely want to find trees that are as sturdy as possible. Some trees are a lot tougher than others. Some are dainty and decorative, while others are hearty and sturdy. If you want to plant trees in your parking lot, you will definitely want to find trees that are as sturdy as possible. A parking lot is a large expanse of asphalt, there’s really not much to it. Trees will break it up a little bit, and add some shade. Planting trees in your parking lot improves appearance, prevents soil erosion, and adds oxygen to the environment. 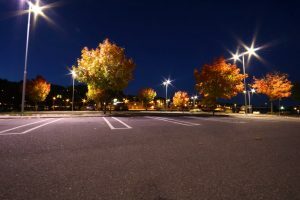 Trees provide many benefits to parking lots with many benefits, but they need to be tough. One of the biggest challenges to planting trees in your parking lot is that there tends to not be enough top soil. The layer of soil underneath the top soil is very low in oxygen and not very root friendly. The other two main challenges to growing trees in a parking lot are lack of water and too much heat. Since pavement is made to get rid of water as quickly as possible, it can leave trees with not enough water. Depending on the pavement and angles, it can also leave trees with too much water pooled around their roots. The heat is a big problem because the pavement attracts the light and heat from the sun, which is also reflected from any surrounding buildings. Elm- Once the most common street tree in America, the American elm was almost eradicated when Dutch elm disease struck in the 1930s. Once that was dealt with, it has been making a comeback and can be well-suited to parking lots. Zelkova ‘Green Vase’- This tree is great for an urban landscape because it’s highly tolerant of wind, pollution, drought, and compacted soil. Crape Myrtle- The Crape Myrtle has gorgeous blooms in a variety of colors. It may look fragile, but it’s actually quite sturdy. Crape Myrtles love heat, which makes them perfect for parking lots which can get quite hot. Littleleaf Linden- Whether your parking lot is in the blazing sun or partial shade, this tree will give it a fresh scent and bright look with its highly fragrant flowers. The littleleaf linden is unbothered by air pollution, poor drainage, or compacted soil so it would do well in a parking lot setting. Red Maple- The red maple is extremely hardy and will grow pretty much anywhere. You can find it growing anywhere from swamps to dry soil. This entry was posted on Friday, July 28th, 2017 at 10:18 am. Both comments and pings are currently closed.